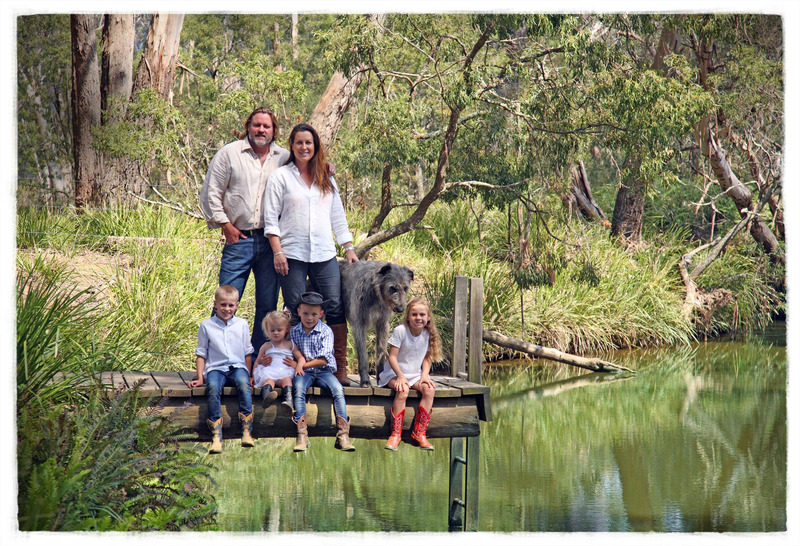 Redleaf is home to Sam and Katrina Sparke, and our 4 children. We love our lifestyle, and strive to provide the best tasting, natural, healthy produce we can. We believe that the best tasting meat is from happy animals. 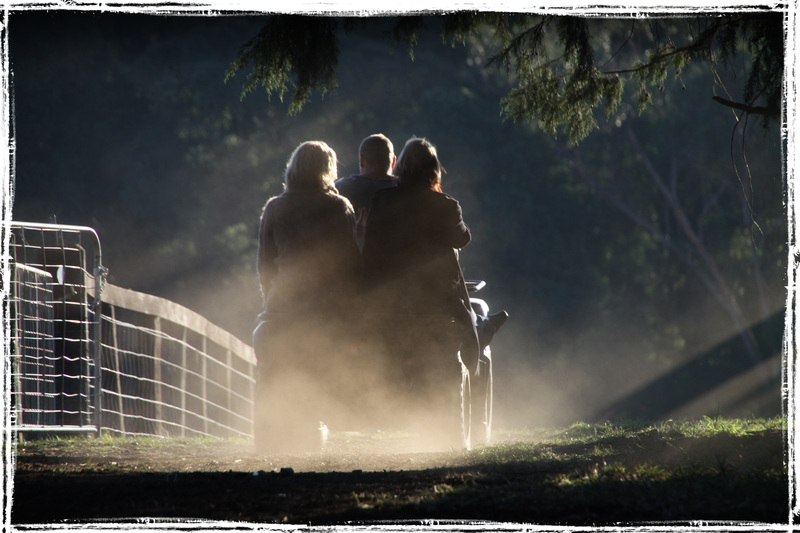 We are situated in the beautiful Southern Highlands of NSW, Australia, a lush and picturesque part of the world. 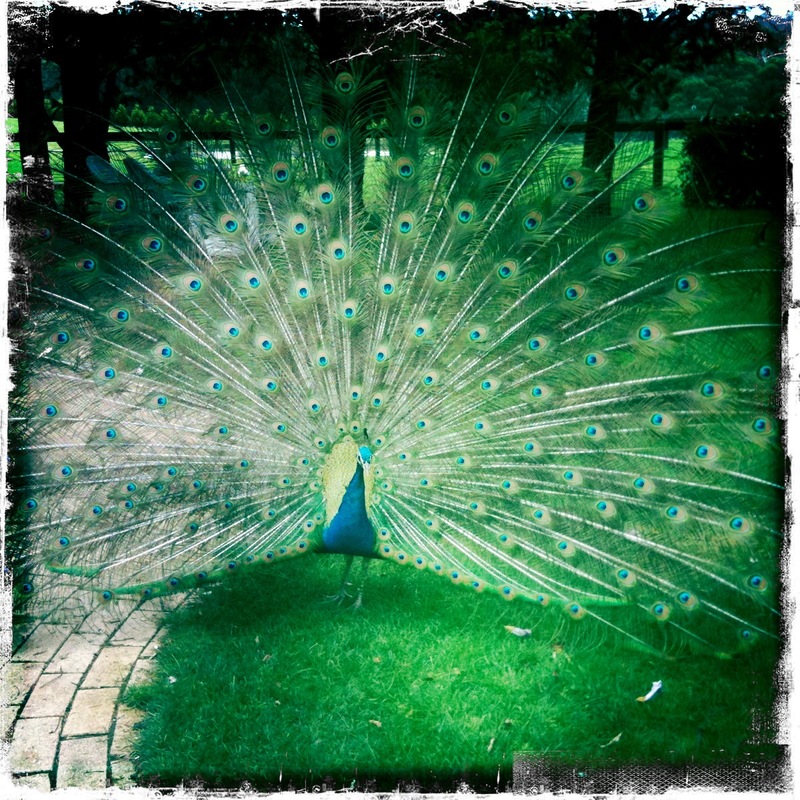 At Redleaf we raise beef cattle, sheep, and pigs – plus a menagerie of fowl including geese, chooks, ducks and peacocks. Our aim is to live healthily and sustainably, and supply only the finest quality free-range produce to a discerning local market. Treating our animals well is important to us, and that extra love definitely comes across in the taste of our meat. Paddock rotation, stock rotation and organic principles help to maintain our lush, high-nutrient pastures. Our stock numbers are low so we can manage our hands-on approach – hence our produce is very seasonal. We like it that way, it seems far more natural. Our pork is from heritage breed Saddleback sows, Pepper, Ginger, Nutmeg, Poppy, Vanilla, Clove and Curly, and either Sam the Ham, or Huey – 2 lovely Saddleback boars. The pigs are free ranging, with access to pasture daily. They are also fed a homemade ‘muesli’ of mixed grains, and given ear rubs every day – to keep them happy. Our beef is Angus/Hereford heifers. 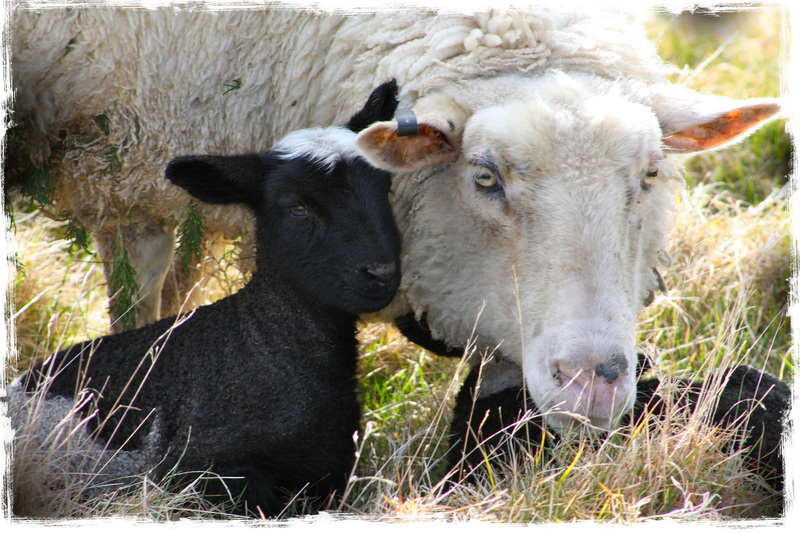 Our lamb is from Border Leicester cross ewes and a Dorper – Sam the Ram. They are delicious! Hey Katrina, so lovely to be in touch, what happen to all the pigglets? 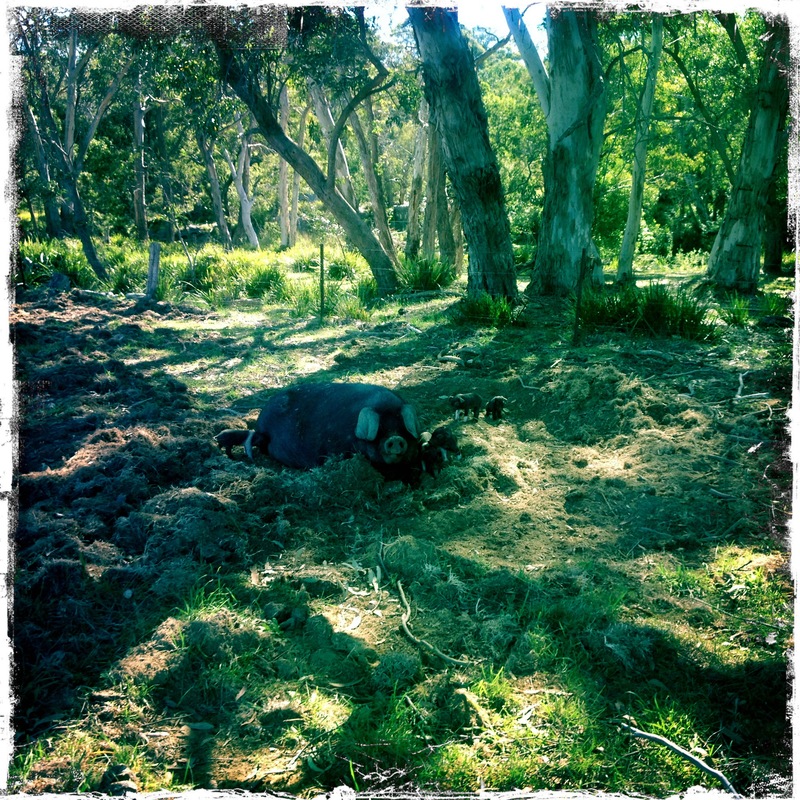 Hi Bianca, If you scroll down the pork page you’ll see a pic of them – delivered to a local restaurant Biota. Delicious! Beautiful site! Well done Katrina! I just want to jump on a plane and come visit! The photos you have put on the site look excellent. I especially like the edge detail/border. You have really set up your farm so lovely. Congrats to you and Sam for your commitment to create such a wonderful lifestyle for your family. Ironically, the other day we watched a documentary called, “Food” which is a film about how food is mass produced in the US which would be similar for Australia as well(specifically poultry and pork, and beef industry). It also interviewed organic farmers and they explained how their business is successful because people want their food to taste good. In addition, all the health concerns that come from pesticides and other chemicals used is not good for us either. Shane and I would purchase locally grown organic veggies and fruits and free range eggs & meats at every opportunity when living there. So seeing the film just made us understand more about farming and multi-nationals. Now, living in China. We just appreciate quality food even more!! We buy from our local Chinese farmers who drive in each day and set up crates in the alley with fresh fruits and veggies. The produce always tastes better than the supermarket and are usually better priced, but still it is not organic or free range. Can’t wait to hear more about Farmstay! Hey Katrina, great website about Redleaf Farm at https://redleaf-farm.com/ looking forward to staying updated with what’s going on each season. Katrina this is awesome – can I come a be child number 5 – get outta the city and live like this! A lovely site – and an incredible venutre to suit your passiona nd drive. Web site looks and sounds great… Suzie has told me how yum the lamb is… How do we get some to the big smoke… Also do u have a pricelist? Hi Bianca, i will catch a lamb for you this afternoon. Suzie said she’ll bring it up to you next week. Katrina, thank you for delivering the lamb. Just in time for the Australia Day celebrations. The little Redleaf Farm suckling pig looked delicious at the Biota Restaurant “Sunday Celebration” this afternoon – will spread the word…. Hi Jill, yes, it also tasted delicious! I admit I was prepared to be somewhat biased, but Noami and James managed to exceed even my expectations – the pork was simply amazing, and served with a heavenly truffled polenta. I cant wait for the last sunday of february! I am sending a greeting to sunny Australia from Prague. Peter from Alchymist hotel Prague. lovely website, you are living a life style I always dream about. I’ll bookmarked your side awaiting more info about farmstays. Basically I have found your website when browsing internet for recipe for python snake cake. Yours looks so real !!!! great work and very artistic finish. I have seen the one, Albino Python done by professional pastrycook in GB but I don’t like the colour. Would you share the recipe for your chocolate mud cake ? or maybe it is already somewhere on your website ? I am rolling my sleeves to make the cake for my son’s 21st birthday next week and i would really appreciated if you sent me some hints. Hi Katrina. Wondering where about we may find your produce in retail anywhere around the highlands? Please let me know. Your family’s concern for the animals and our food is much appreciated. Thanks. Regan. Hi Regan, no retail outlet as yet, but feel free to email me katrina@redleaf-farm.com and you can buy direct from the farm when we have produce available. you have a really nice web site, look fantastic. same as You all in the family. Hi there, I’m after whole pig for a spit, can you please advise me of price, average weight and how long to order in advance . Look forward to hearing from you. Hi, this awesome website. My name is Made Ardi from SD N CEPAKA school Bali. Tank for visiting our school. Wow!! What a great experience my family had today!! Such a cool place!! Katrina and her family are so hospitable. We brought the pork salami…. delicious! Irish Wolfhound puppies for sale!